An online library of our papers, recorded lectures, and other resources. A growing collection of books produced by the Project on Lived Theology. An audio companion to the book, Can I get a Witness? Thirteen Peacemakers, Community-Builders, and Agitators for Faith and Justice. Featured Publication: Can I Get A Witness? Can I Get A Witness? 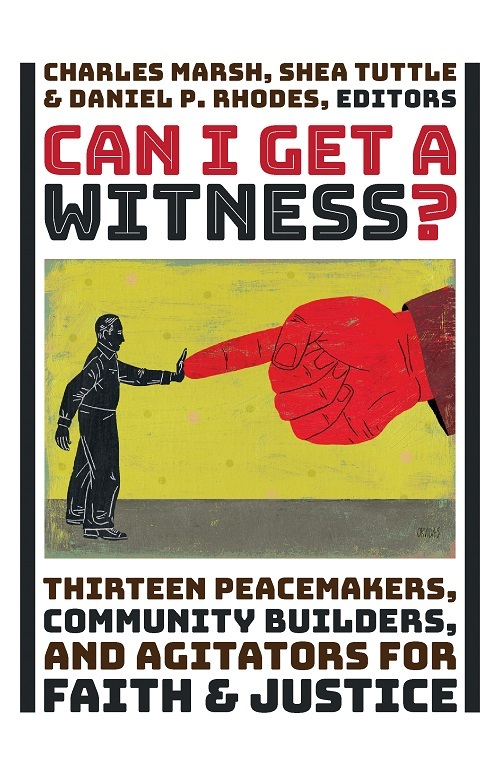 Thirteen Peacemakers, Community Builders, and Agitators for Faith and Justice includes the compelling stories of thirteen pioneers for social justice who engaged in peaceful protest and gave voice to the marginalized, working courageously out of their religious convictions to transform American culture. These people include trailblazers such as Ella Baker, Dorothy Day, Yuri Kochiyama, and many more.